Transformation in Sport – Are we asking the right questions? Writing for the Mail and Guardian Luke Feltham writes, “there is a glimmer of hope at the end of a long sports transformation tunnel. This was the message delivered at the release of the 2016/17 transformation status report in Hatfield, Pretoria on Monday morning. 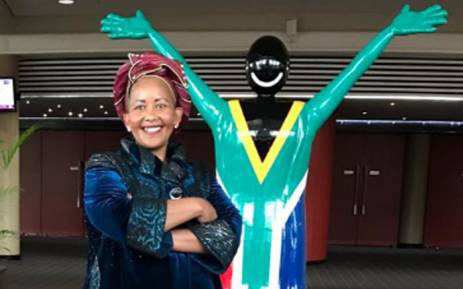 Sports Minister Tokozile Xasa in opening the release said “efforts have, for 23 years, been largely successful in bringing about an effectively transformed sport system and causing substantial consequential damage for many in the process”. The report was compiled by the Eminent Persons Group on Transformation in Sport (EPG). The commission is responsible for collecting data from the various federations in the country and subsequently providing recommendations going forward. The report was based largely on data from 2016. 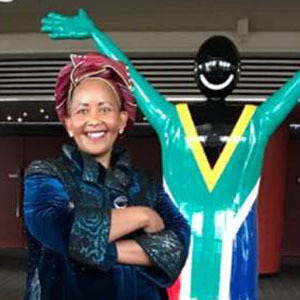 In her address, Xasa made it clear that a potential funding cut awaits any federation which does not comply with the government’s vision for transformation. The report, however, did not suggest any federation should face that fate just yet. What it did do was highlight the long battles to transform, which await many federations. Conversely, SA Rugby welcomed its successful achievement of its targets in this report. Rugby showed a 17 percent improvement to achieve 60 percent of the targets agreed with the Department of Sport and Recreation South Africa (SRSA) and the South African Sports Confederation and Olympic Committee (SASCOC). The EPG sets a minimum target of 50 percent achievement as the measure of successful compliance. “Rugby is succeeding in the transformation process and we’re pleased with the outcomes of the EPG report,” said Jurie Roux, CEO of SA Rugby. “We’re proud of the fact that rugby was the top performing federation from the five sports that were part of the pilot project in terms of transformation – we have worked hard to achieve our targets. We remain on track to deliver on our five-year Strategic Transformation Plan (STP), which we launched in 2015. Roux said that the report highlighted that the greatest challenge to South African sports federations – rugby included – was the state of school sport. “The report notes that only eight percent of learners in South Africa’s 25 000 public schools have any kind of access to sport,” said Roux. According to the South African Institute of Race Relations (SAIRR) only 57,8% of public schools in the country have sporting facilities. The quality of the existing facilities is often substandard and facilities are very unevenly distributed. For instance, whilst 77,5% of public schools in Gauteng and 75,1% of schools in the Western Cape have sporting facilities, only 40,6% of public schools in the Eastern Cape possess such facilities. If the figures are broken down further, an even more dismal situation emerges. 3 245 out of 5 461 public schools in the Eastern Cape had no sporting facilities in 2015. For the rest, only 1 412 schools had soccer facilities, 164 had cricket facilities, and only 333 had rugby facilities. In KwaZulu-Natal, 3 207 out of 5 861 schools had no sporting facilities. Only 1 591 had soccer facilities and 258 had cricketing facilities; and a mere 111 could boast rugby fields. Question 1: There are 30,000 schools in South Africa +/- 5000 independent and 25 000 public. Do we have an accurate (and transparent) audit of which of them have sporting facilities, and offer sport, and which don’t? Question 2: Of the schools that offer sporting facilities, do we have detail on what they are, specifically in respect of soccer, rugby, cricket, hockey, netball, tennis, golf, squash, athletics, boxing, swimming, rowing, gymnastics, equestrian and triathlon – given this is where we often compete internationally? Question 3: Of the schools that offer some or all of the above facilities, how many of them have coaches who can competently teach the above disciplines? Question 4: What steps does government take to identify sporting talent at school level and then offer academies and/or schools where this talent can be developed to the full? Question 5: (Maybe controversial but necessary) Does government have an understanding of the “supply chain” i.e. knowing the extent of what sporting disciplines have what level of support from different racial groupings so that transformation targets are grounded in the extent of support and participation at school level? I would urge the Eminent Persons Group to make it their business to answer these questions as part of next year’s Transformation Status Report. We will never get transformation right at the highest level, if at school level we are not giving learners the opportunity to play, participate and be properly coached so that they can fully develop their sporting talent and realise their potential.